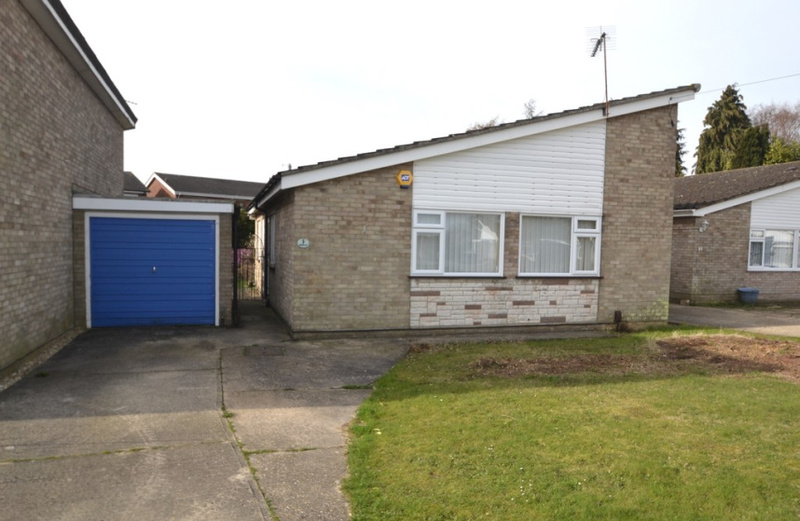 A modern DETACHED BUNGALOW presented in very good decorative order throughout situated in a small close of bungalows to the North-West of Ipswich town centre, off Defoe Road on what is known as the "Henley Rise" development. The bungalow is of traditional cavity brick construction under a mono-pitch tiled roof. 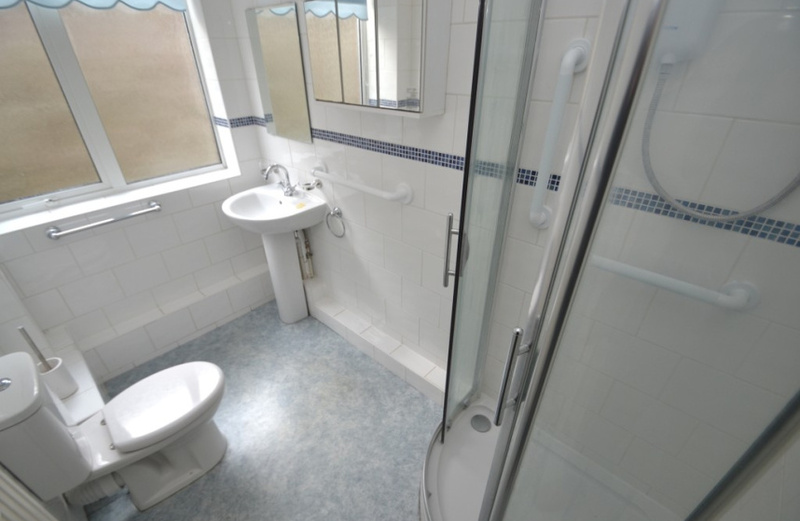 The property is conveniently located for access to local shops in nearby Fircroft Road, bus services into the town and Ormiston Endeavour Academy. 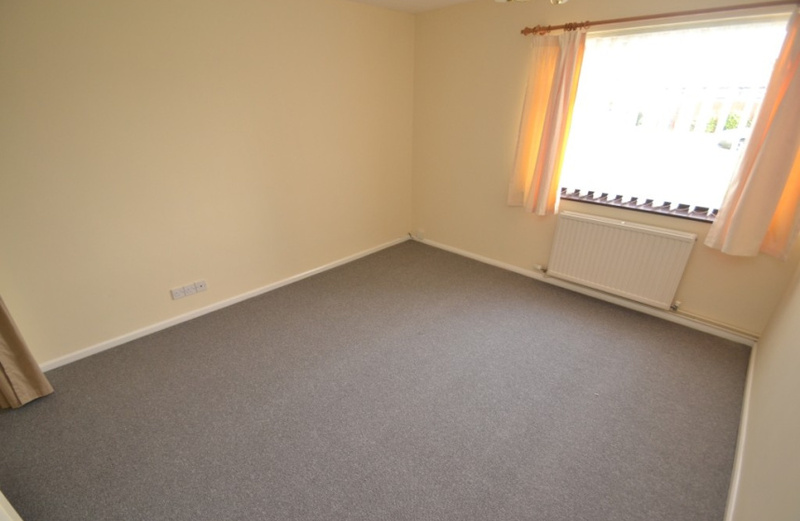 The property has the benefit of new fitted carpets, gas fired central heating and UPVC double glazed windows. 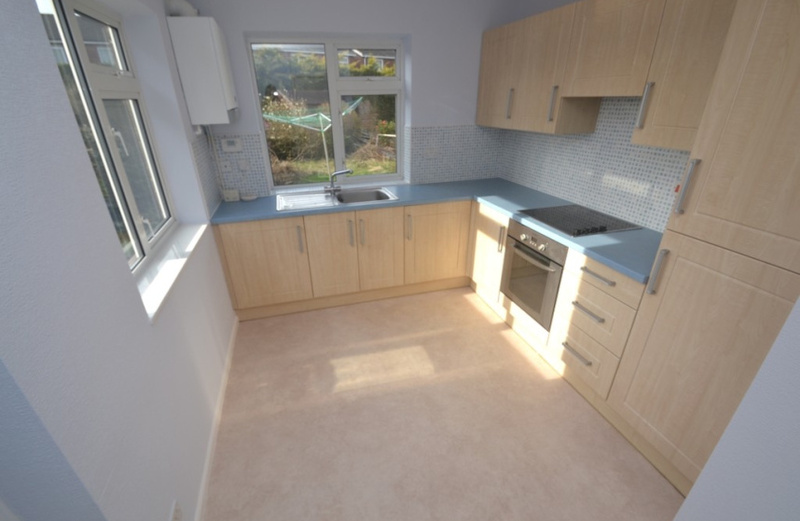 There is also a modern fitted kitchen and bathroom. L-SHAPED ENTRANCE HALL Vinyl wood effect flooring with inset coconut mat. Radiator. Built-in broom/storage cupboard. Access to loft. Electric meter cupboard. Built-in cloaks cupboard. Thermostat control. 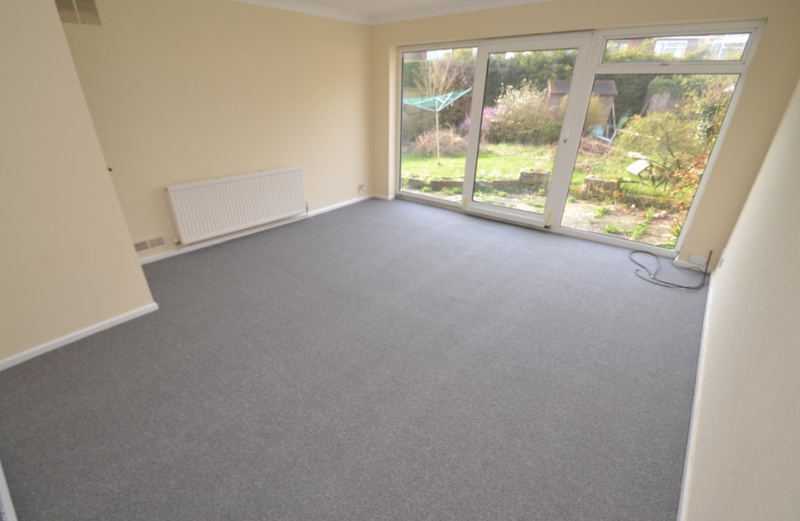 LOUNGE 15' 0" x 14' 3" (4.57m x 4.34m) New fitted carpet. Double radiator. Telephone point. TV point. Virgin cable connection. 2 wall light points. UPVC double glazed sliding patio door with vertical blinds opening to rear garden. KITCHEN/DINER 11' 10" x 8' 6" (3.61m x 2.59m) Inset stainless steel single drainer sink top (h & c mixer taps). Range of fitted cupboards and drawers with roll edged worksurfaces and tiled splashbacks. Matching eye level wall cupboards. "Indesit" stainless steel built-under oven and matching 4 ring ceramic hob over and pull out light/extractor unit over. Integrated "Indesit" washing machine and fridge and freezer. Radiator. Cooker point. Range of 13amp power points. Vinyl flooring. New UPVC double glazed door to rear garden. UPVC double aspect double glazed windows to side and rear. "Baxi Solo" gas fired boiler for central heating and hot water with digital programmer clock. BEDROOM 1 12' 0" x 11' 0" (3.66m x 3.35m) New fitted carpet. Double radiator. UPVC double glazed window to front with vertical louvre blinds. Double wardrobe recess. Built-in airing cupboard with insulated hot water cylinder, electric immersion heater and slatted shelving. Telephone points. TV point. 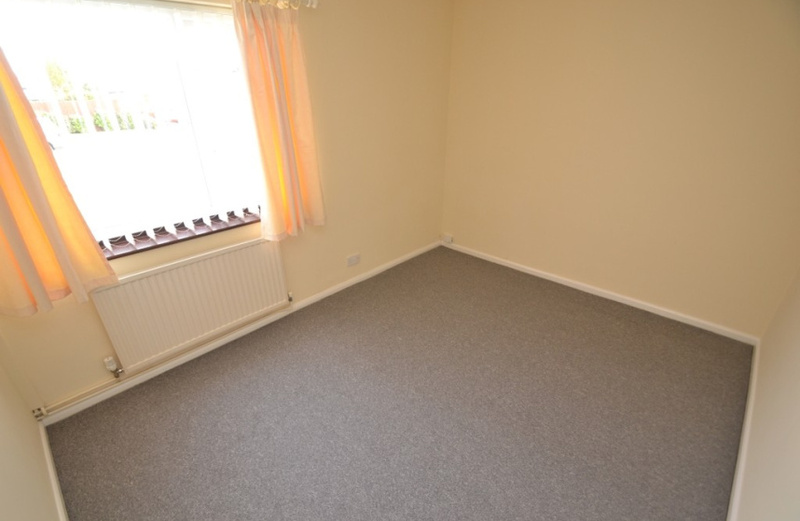 BEDROOM 2 12' 3" x 9' 2" (3.73m x 2.79m) New fitted carpet. Radiator. UPVC double glazed window to front with vertical louvre blinds. SHOWER ROOM White suite of corner entry shower enclosure with "Triton T80Z" electric shower, pedestal basin (h & c mixer tap) and low level WCD. Fully tiled walls. Radiator. Vinyl flooring. UPVC double glazed window to side. 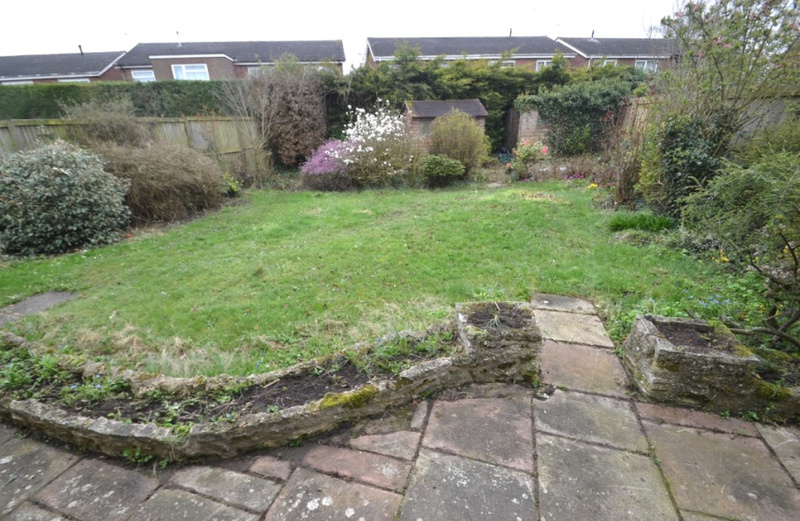 OUTSIDE Open plan front garden laid mainly to lawn. Concrete driveway affording good off road parking fgacilities leads to a Detached brick built GARAGE with metal up and over door, new UPVC double glazed side personal door and window to rear and gas meter. Wrought iron side gate and path leads to a good sized, enclosed South facing rear garden. There is a paved patio, lawn and shrub borders and beds.